Sometimes solving a relationship problem is just a matter of communicating with your partner. But what if there are deeper issues that make you afraid or lose control? Sometimes it’s not as easy as you’d think. Researching this film, I found that it is unlike most others in that the majority of it was improvised by the actors. They started with an outline of what was supposed to happen, and the dialogue was invented on the fly by the actors. This leads to a very natural sounding, conversational tone to the film. It makes it more personal and intimate which contributes to the overall feel and theme of the movie. 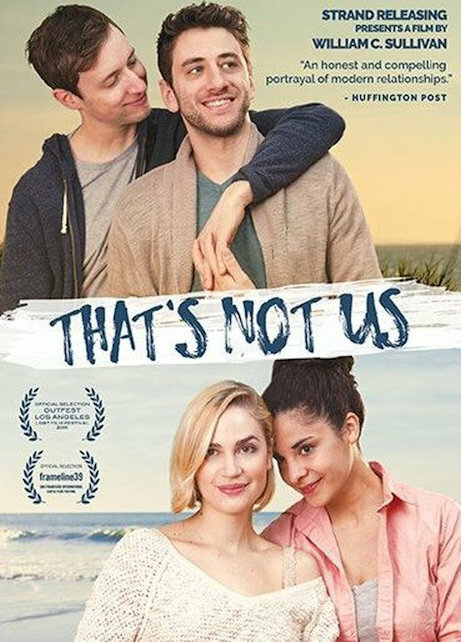 The movie draws us into the three couples’ lives, and we start to experience their issues along with them. You can’t help but feeling a bit like a fly on the wall at times, getting to see the conversations that happen behind closed doors. Sometimes these exchanges are lighthearted banter, and other times they get deep into relationship building. Which leads me to one of the themes that stuck out to me – communication. Each couple has a variation of an issue that seems to originate from some communication problems. Some are afraid to communicate. Another is holding onto control issues that communicating would potentially heighten. And another is trying to get honest communication to resolve problems. I read somewhere that their problems could be interpreted as first world problems that are just annoying. (ie, is not being able to ride a bike seriously a problem?) But I think there’s another layer to them that is deserving of exploration, and I like the take this film has with it’s natural, ad-libbed discussions. Working on a relationship certainly isn’t scripted, and That’s Not Us feels like what it often takes to get to the heart of an issue as a couple. However, I often feel like sometimes films rely too heavily on non-communication as a plot device, and sometimes I find myself wondering why characters don’t simply act like adults and solve their problems in a few pages of dialogue. This film sometimes borders on that, but then pulls out of it with natural dialogue and a deeper dive into the heart of their issues. Good cinematography and pleasant use of music round out the better than average production values, and I’m even more impressed based on how the movie was shot (without knowing who exactly would be speaking next in an improvised environment). I would give huge kudos to the actors for their on-the-fly invention of the script which flowed well. They brought life to what started as just a concept. An interesting film in how it was made, and an engaging way to look at how relationships work through issues in an organic way.